New CMH Patriot 3/2 Model! Save BIG On Cash Deals! 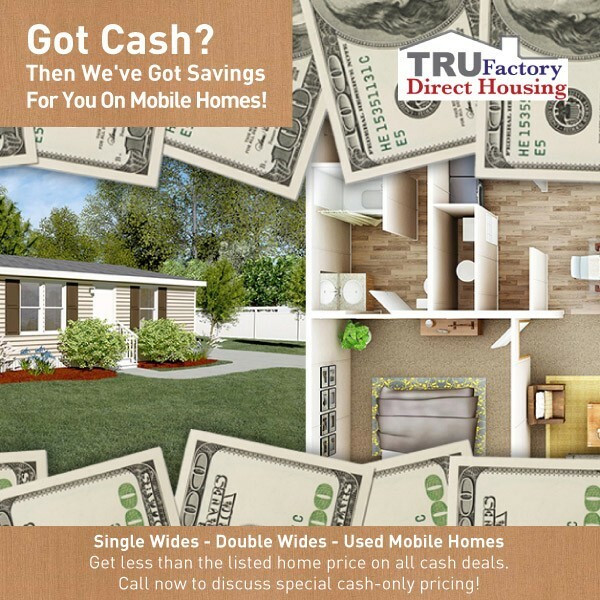 Got cash and want to save BIG on factory direct mobile homes? Pay less than the listed price on ALL cash deals. We need to clear out inventory and are ready to pass on savings to customers ready to BUY TODAY. If you have cash in hand, you can apply RIGHT NOW and walk away with incredible deals on our mobile homes. But don't wait too long, our inventory is clearing out, and someone else might get the deal first! For Serious Home Buyers In San Antonio, Corpus Christi, Pleasanton, Elmendorf, Houston, Victoria And All Of Texas! Is home ownership for you and your family a long-time dream you haven’t realized yet? Are you searching for San Antonio mobile homes for sale because your family is growing and you need more space to fit everybody, but don’t want to break the bank? Are you currently throwing money away paying rent when you could be putting it towards your own place? We find everyone has a compelling reason to start searching for the best prices and quality on San Antonio mobile homes, and for years our family-owned independent dealership has been helping people just like yourself get into the home they want. Think about it; the average mobile homes monthly payment is usually under a thousand dollars and often quite less. Are you paying more than that each month just to rent someone else’s home or apartment, and helping them build equity while you lose out? As you pay down your manufactured home, you are building equity and becoming the owner of a property that now has value, instead of losing money every month. This kind of home purchase just makes sense, and can save you thousands up front as well. Our huge catalog of San Antonio mobile homes for sale is the perfect place to start finding your next investment for your family, a new home to call your own! Some people think “I’m settling for less when buying a mobile home” and have ideas of “throwing money away” on a trailer home that will only lose value over the years. That couldn’t be further from the truth! Did you know that many mobile homes on land can actually appreciate (gain) value over the years if properly cared for? Don’t believe us? See some of the research for yourself and start making informed investment decisions on your future San Antonio mobile homes purchase. Not only are these homes a positive investment in many cases, but you save big on square footage and features buying one of our San Antonio mobile homes for sale compared to what you’d spend on an equivalent sized traditional stick-built home. 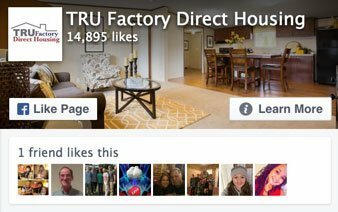 You get more living space, more high-end features, more appliances, just plain more value, when you buy a manufactured, mobile or modular home model from TRU Factory Direct. Take advantage of our ongoing deals to save even more on an already value-priced product, and let us help you make home ownership a reality! Come visit our dealership in Elmendorf, we are located on Hwy 181 but serve customers from San Antonio, Pleasanton, Corpus Christi, Victoria, Houston and even Midland/Odessa! Don’t Wait On Finding The Best Value On San Antonio Mobile Homes For Sale, Contact Our Team For Help Today! 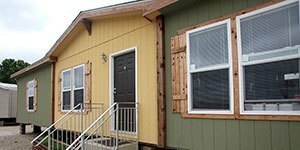 We offer the best manufactured, modular & mobile homes for sale in San Antonio, Elmendorf, Pleasanton, Midland, Houston, Victoria, Corpus Christi and all Texas. We offer discounted pricing on new and used mobile and manufactured homes for sale in San Antonio and surrounding Texas markets. 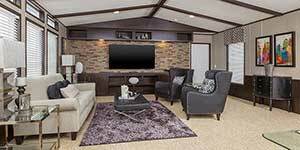 We have modular homes built to fit your custom floor plans as well that can fit within most budgets. We also offer an exclusive on-line instant delivery/set/AC estimator for each home model that you won't find offered at any other local dealership in San Antonio. 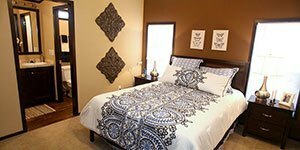 View our homes today!